For my birthday this year I received a Papillon puppy that we named "Gem". 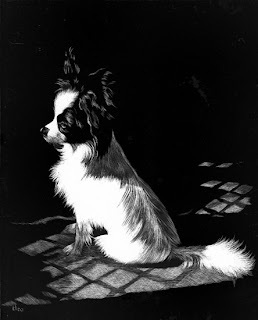 Here is a scratchboard of Gem looking out the screen door. The shadows in front of her are the shadows of Tilly and Licorice, two of my cats.